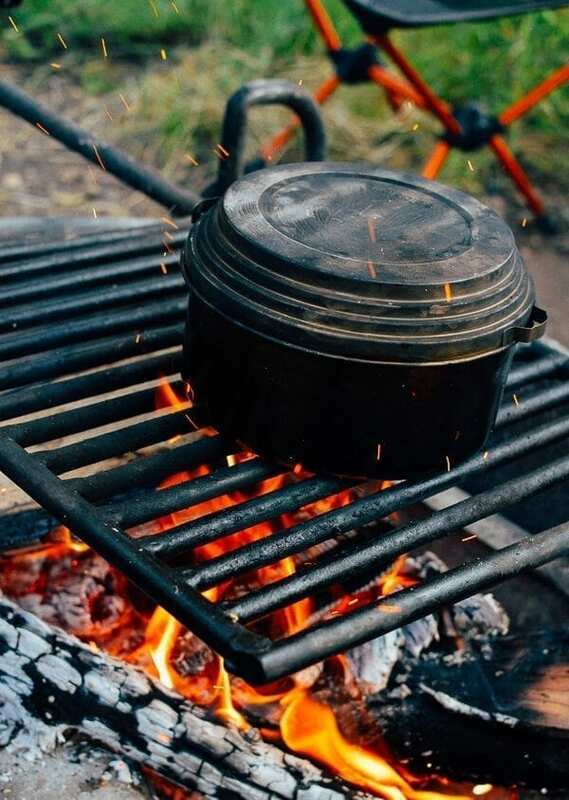 When it comes to camping and cooking, we have a long and storied legacy–braised lamb shoulder, rice and beans, rotisserie chicken, fried fillets of large mouth bass, smoked turkey legs, apple cobbler–these are ALL things that we have cooked at one point or another, OVER A CAMPFIRE. An epic good time? Obviously. The true origins of our camping cooking prowess are a bit more humble. 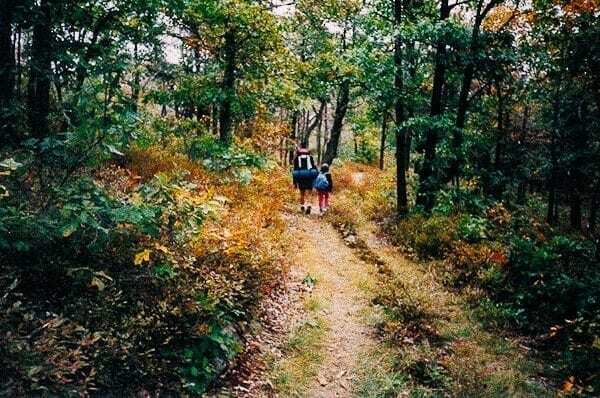 When we were kids, we would pack up our camping gear, drive from the suburbs of New Jersey to upstate New York, hike into the park (usually somewhere like Bear Mountain), and camp for the night. The menu for dinner? 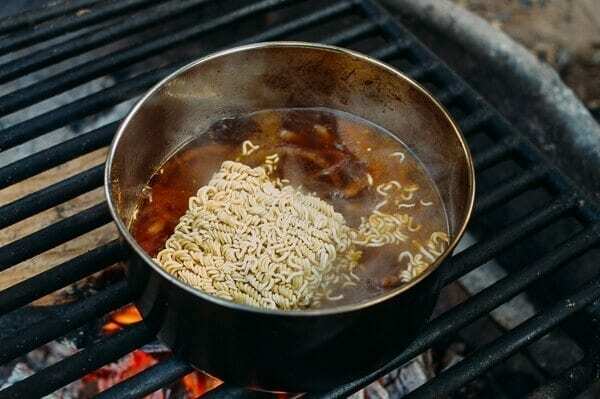 Piping hot instant ramen cooked on my dad’s Whisperlite stove. 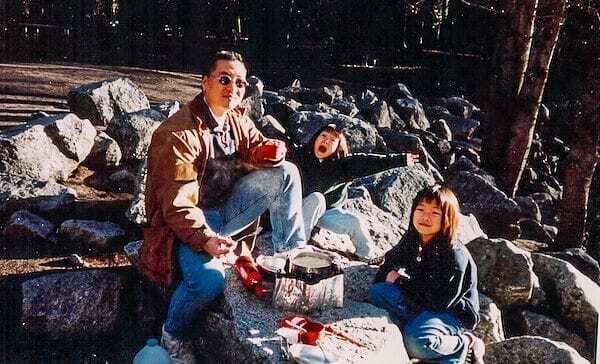 My dad–the original camper of the family–would take out his kit of seasoning vials and sprinkle a few healthy pinches of curry powder and a few shreds of our trail-snack-leftover beef jerky into the noodles for an epic savory camping curry ramen recipe that really hit the spot when we were often parked on a log or rock and the air was cool and damp. AND THEN ROAST A COUPLE OF CORNISH HENS. 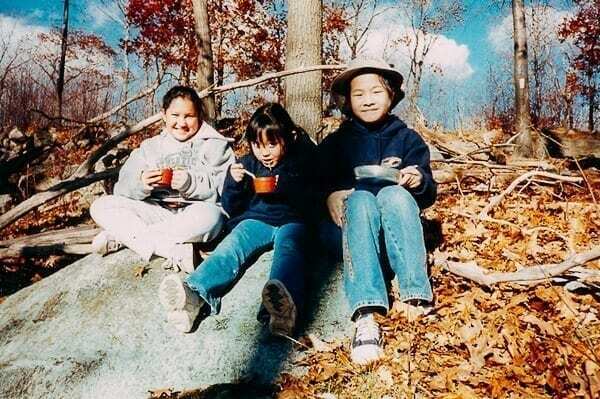 I kid you not, we once DAYTRIP hiked with two raw, marinated birds in my dad’s backpack on ice packs, and Macgyvered a rotisserie spit over an open fire. And we (along with our cousin, who came along for the adventure) sat and ate those chickens, while bewildered slim campers powered by us in their North Faces and hiking boots with their tiny day packs filled with PowerBars and water bottles. 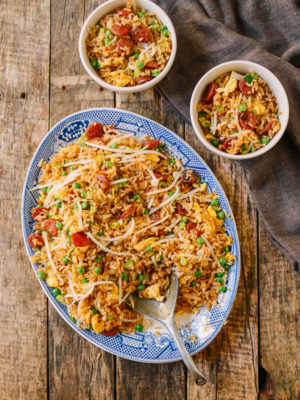 Sometimes laughing, sometimes just plain old confused, but always staring at this strange Chinese family that seemed way too committed to an out of the box culinary experience. 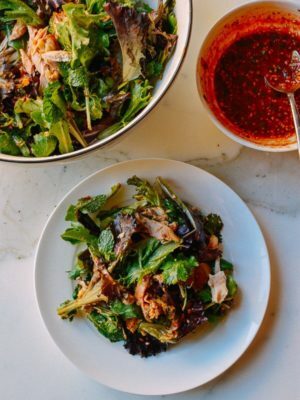 And our side dish with the chicken? 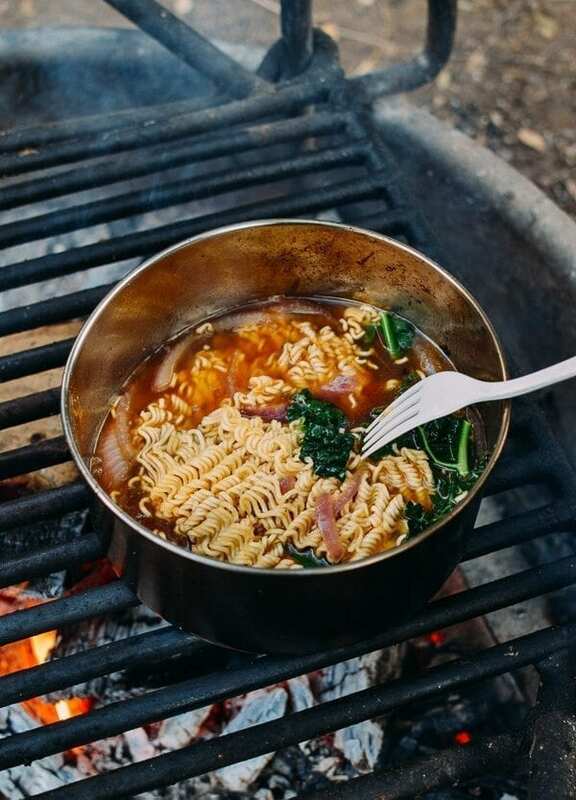 Camping ramen, of course. 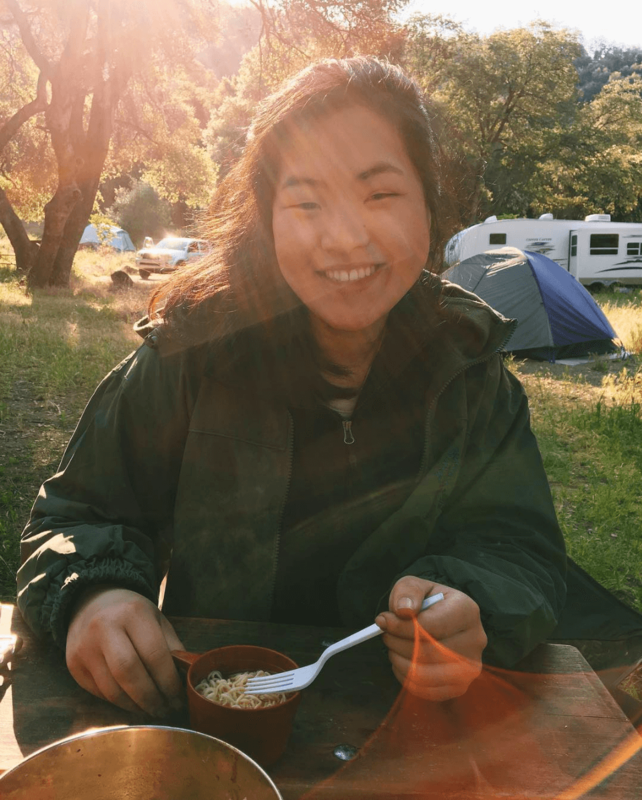 So, when my sister and I decided to take a California road trip this spring, with pit stops for camping, we of course packed up our mess kit and my dad’s old set of seasoning vials, and purchased a few packs of ramen on the road. 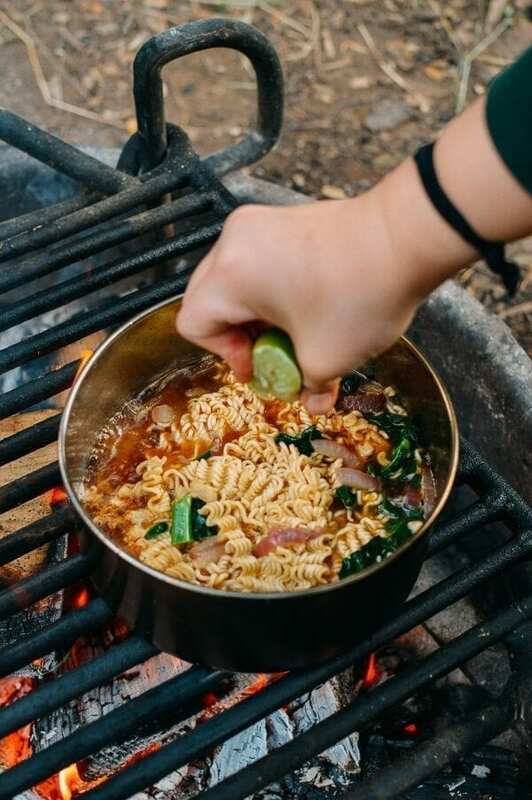 It’s camping ramen, THE PHO EDITION! 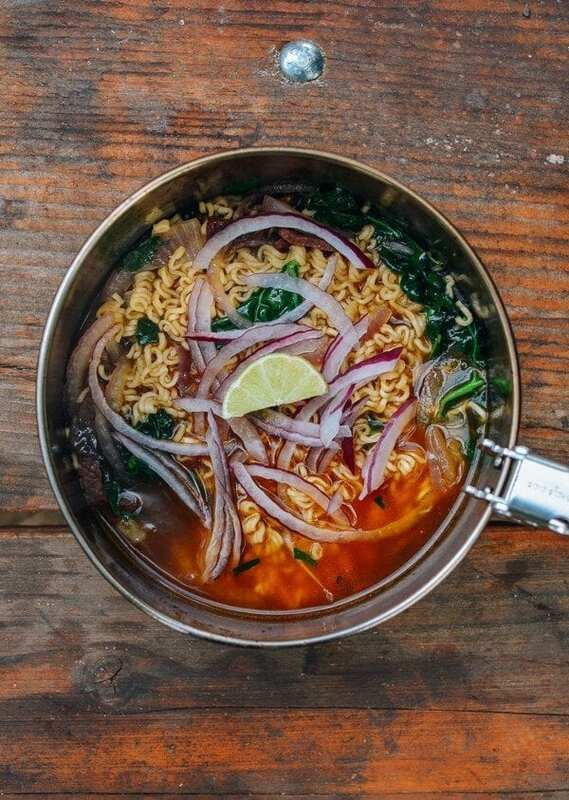 Pho ramen is your standard instant beef-flavored ramen, a healthy amount of beef jerky, red onion–caramelized and stewed in the soup and served raw over the top, some greens if you’ve got them, and a generous squeeze of lime juice to finish it off. It was delicious and perfect after a long day of driving. 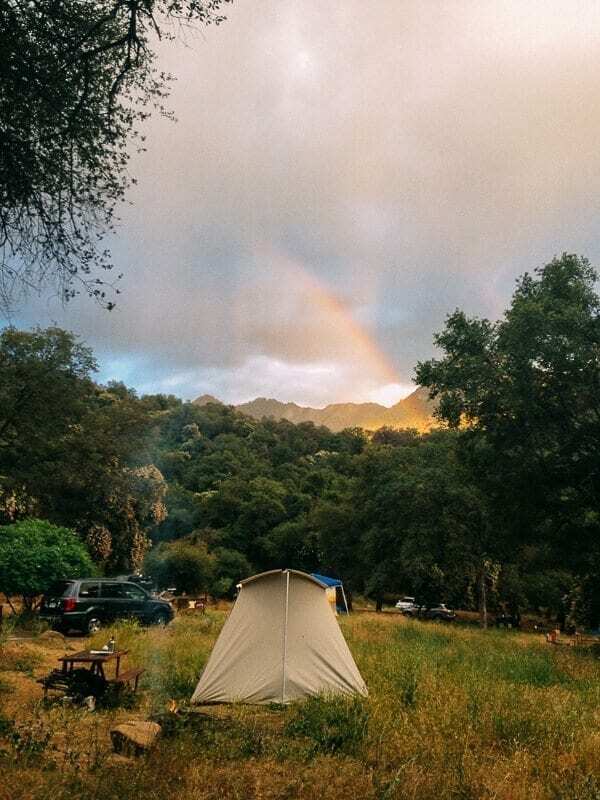 And setting up camp––under a rainbow! 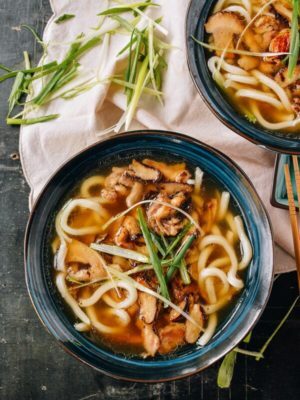 Add this pho ramen to your camp cooking repertoire for this summer, or just make it at home when you’re feeling lazy. Either way, you will enjoy it. Trust us. Put your pot over the flame (we used our trusty stainless steel camping cookset), and add the oil. 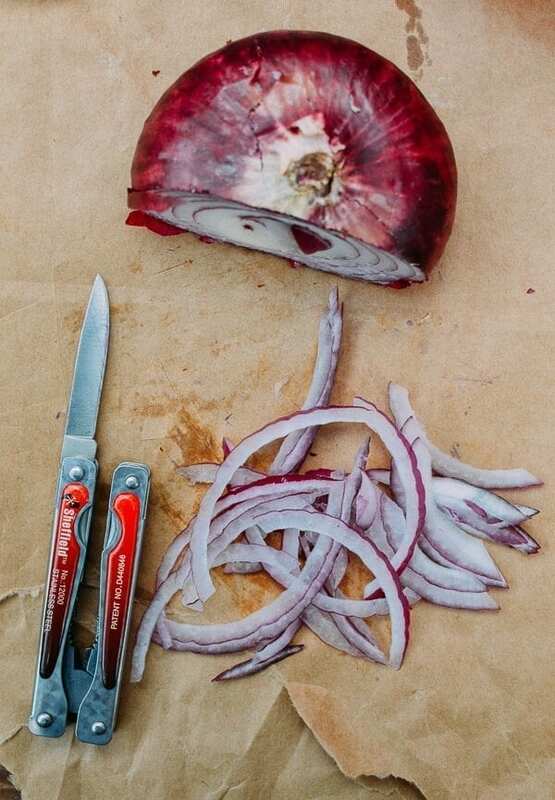 Using your handy dandy pocket knife (or regular knife if you’re not in the wilderness), prep your onions and beef jerky. 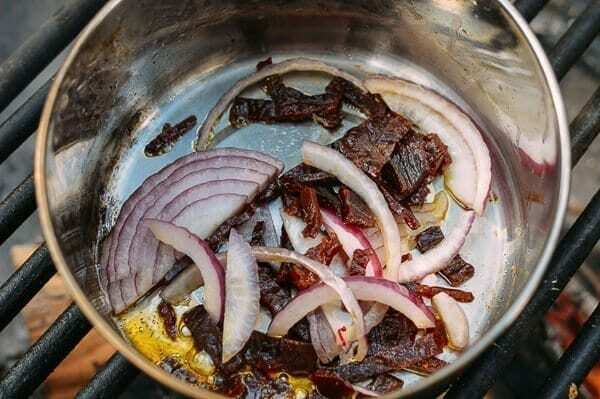 When the oil in the pot is hot (you can add a test piece of onion to check it out), add the large portion of your sliced onions. Stir for a minute, letting them caramelize. 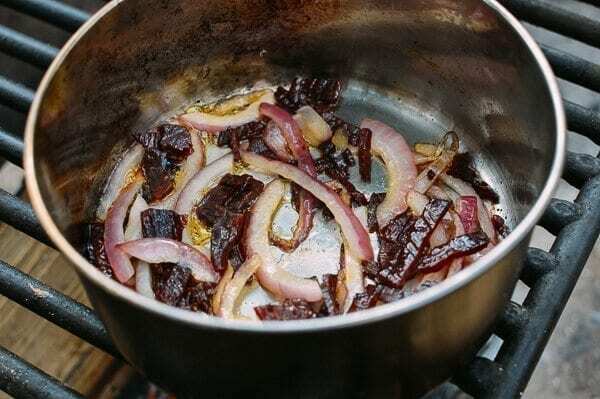 In the meantime, prep your beef jerky, and add that to the pot. 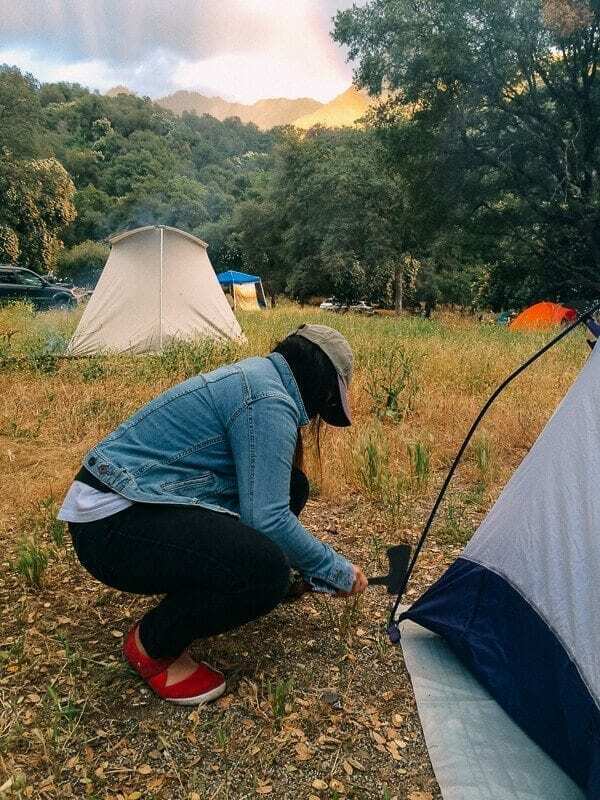 Let cook for 2-4 minutes, depending on how hot your campfire is. 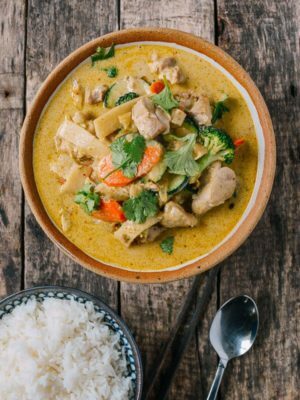 Add enough water to the pot to meet your soup preferences, and bring to a boil. Add in the seasoning packet, the ramen noodles and vegetables (we used the leftover Tuscan kale from Joshua Tree!) and cook per package instructions. 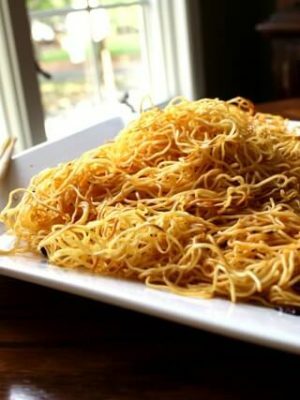 And serve your pho ramen in front of the campfire! 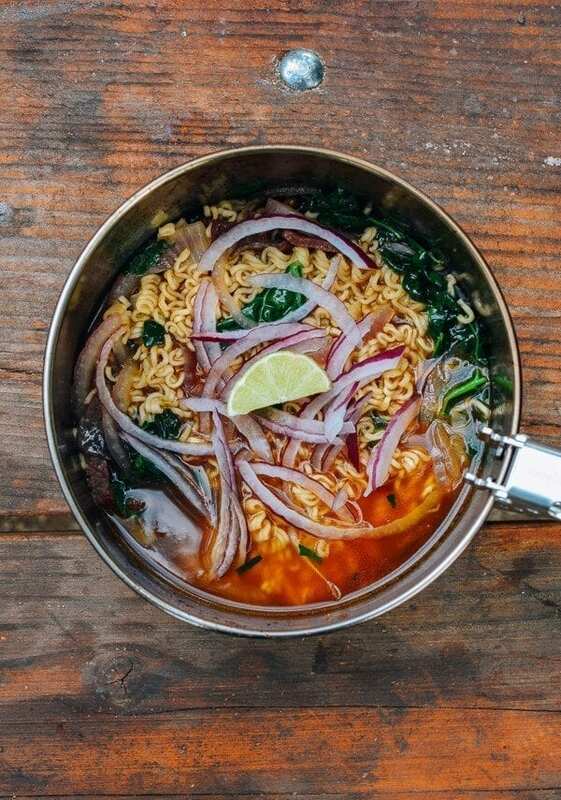 If you like our camping pho ramen and want to go bigger and make a real bowl of pho, check out Sarah’s pho recipe here! 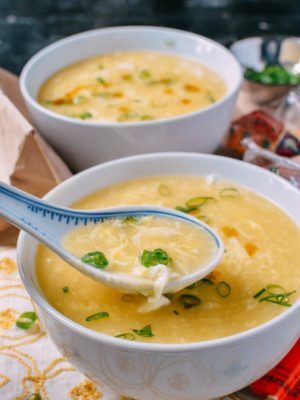 We also have an Instant Pot Pho recipe to satisfy your authentic pho craving that much faster. 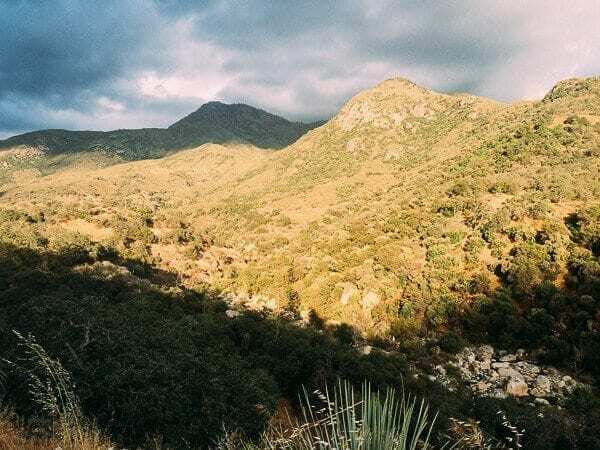 Next post: Somewhere in the Woods: Sequoia National Park. 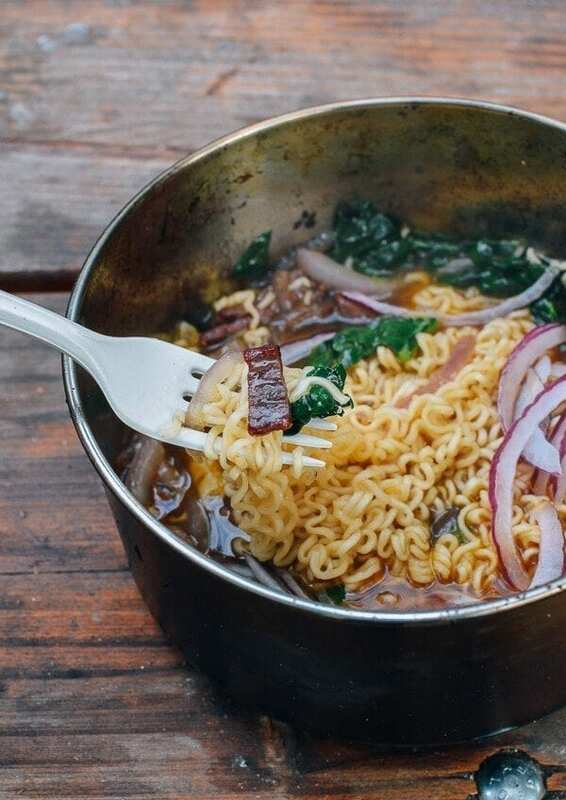 Camping Pho ramen is made with instant beef-flavored ramen, a healthy amount of beef jerky, red onion, leafy greens and a generous squeeze of lime juice! Put your pot over the flame, and add the oil. When the oil in the pot is hot (you can add a test piece of onion to check it out), add the large portion of your sliced onions. Stir for a minute, letting them caramelize. Add the beef jerky and cook for 2-4 minutes. 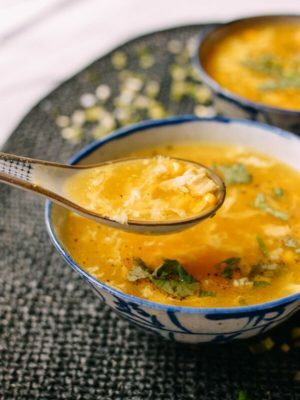 Add enough water to the pot to meet your soup preferences, and bring to a boil. Add in the ramen seasoning packet, ramen noodles, and vegetables and cook per package instructions. 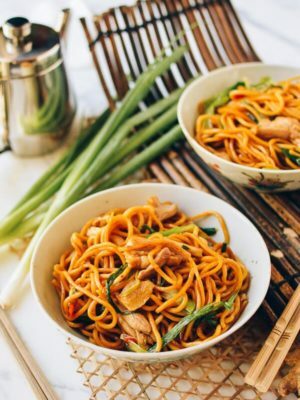 When the noodles are cooked through, sprinkle the raw onion over the top, squeeze in the lime juice, and serve! I have a camp stove in our emergency kit and there is a very real possibility that we will lose power this weekend due to Hurricane Irma. 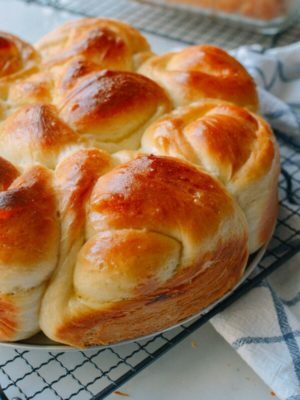 I printed this recipe, because it looks so simple and easy to make in that situation with items I already have on hand. Thanks so much! Aw, you’re welcome! Stay safe! 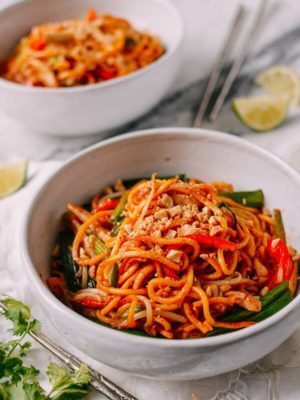 This recipe looks yummy, but would you mind sharing the recipe to the original Curry Ramen as well? Your father is the level of hike/camper I am going to aspire to be! That cookout game is strong. Is is, indeed Monica. 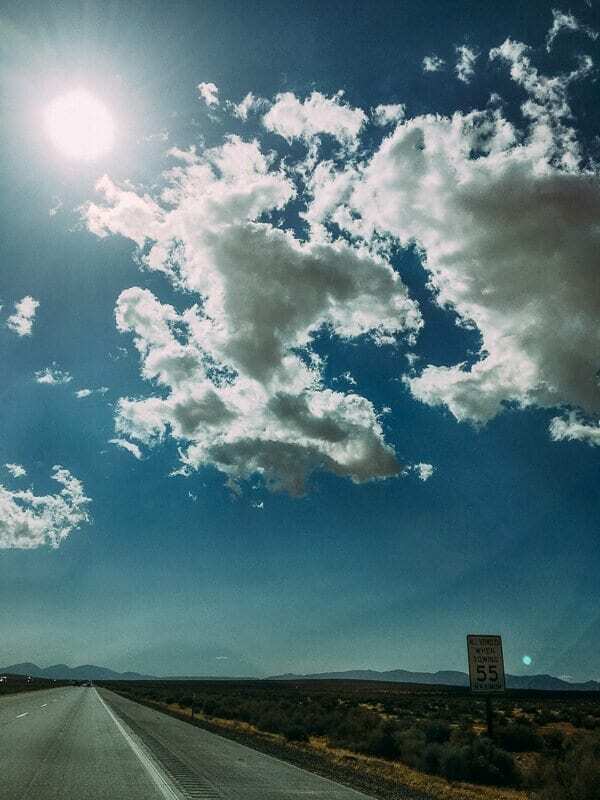 Kaitlin and I are going on another camping trip in Utah next month––I’m excited to share it with all of you! My oldest goes camping with the Boy Scouts quite frequently. He tires of freeze dried prepackaged meals but must bring things that can be made with hot water. He takes and makes his own oatmeal mixing and matching dried fruits, nuts, spices and seasonings. 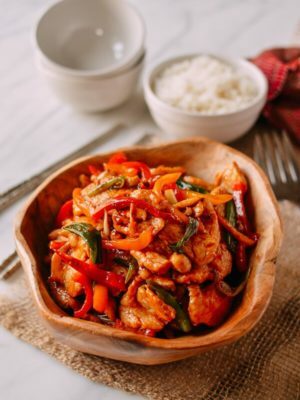 But we took this recipe and riffed on it to make it backpacking friendly. 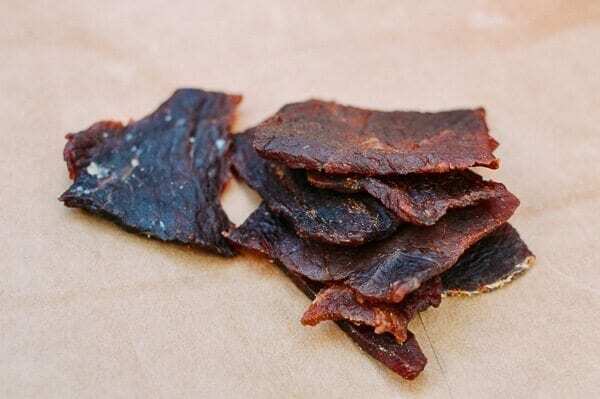 We still used the jerky, slicing it very thinly, the ramen and seasoning package, freeze dried scallions, hot pepper flakes, and dried lime powder. He was very happy and the envy of some of the other scouts and adults. I loves me some Ramen! Looks good over the campfire. Have to make a midnight snack tonight. This is so great! My family and I do multi-day canoe trips with friends…many canoes means lots of space for food, and beverages! 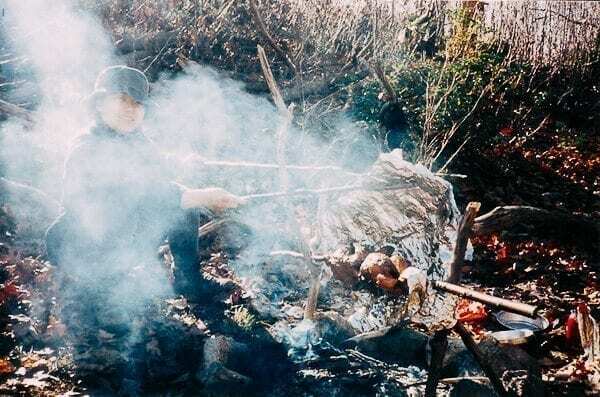 We’ve used a whole frozen salmon as an “ice-pack” in the cooler…check it each morning then bake it over a fire for dinner the day it thaws…had moose-meat and mozza suffed pasta shells…freeze ahead and re-heat and a camping friend even cooks risotto over a campfire. 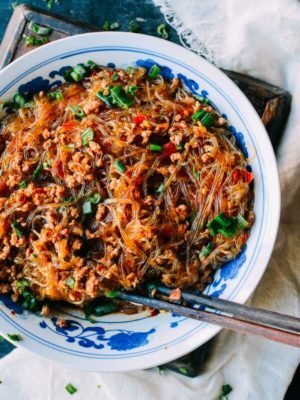 It takes some planning, but it’s so much nicer than granola or those salty (and expensive!) 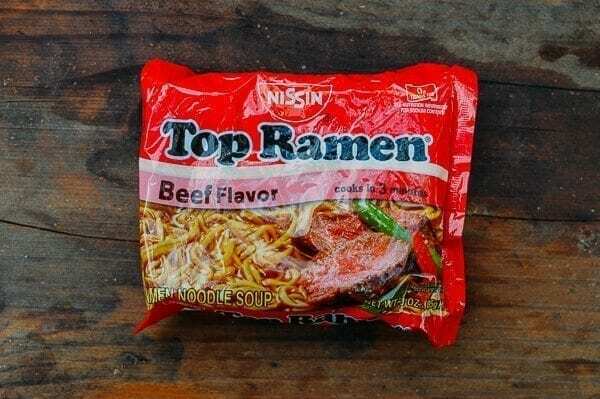 instant camping meals. 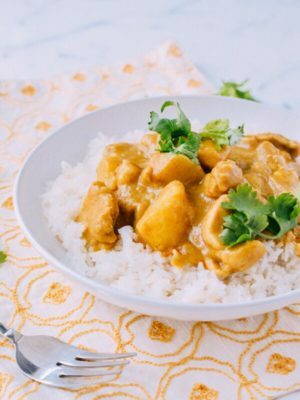 I’m always looking for new yummy, but easy to organize camping recipes and this one definitely fits the bill. 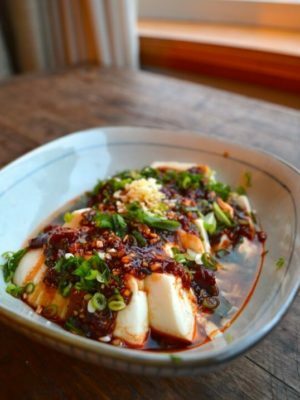 Your story resonates how much I love being chinese. We definitely have our own way of doing things. A hearty meal beats a nut bar any day. I open it is legal to have rotisserie spit over an open fire. Sooo Chinese, using a Peruvian meat to make your meal hearty. Made it, ate it, loved it! Great reminder of how food can be flexible. Wow! Almost makes me want to camp!! Yummy, what a good way to pic-nic !!! :D The best way to picnic!